I recently had a little get together at my house to celebrate the birthday of a dear friend. 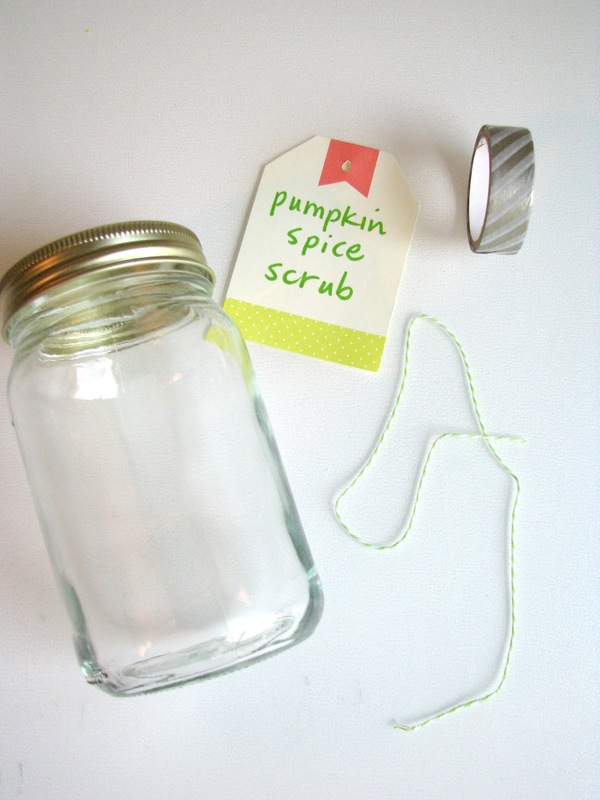 I decided to make everyone a DIY pumpkin spice scrub to take home with them. 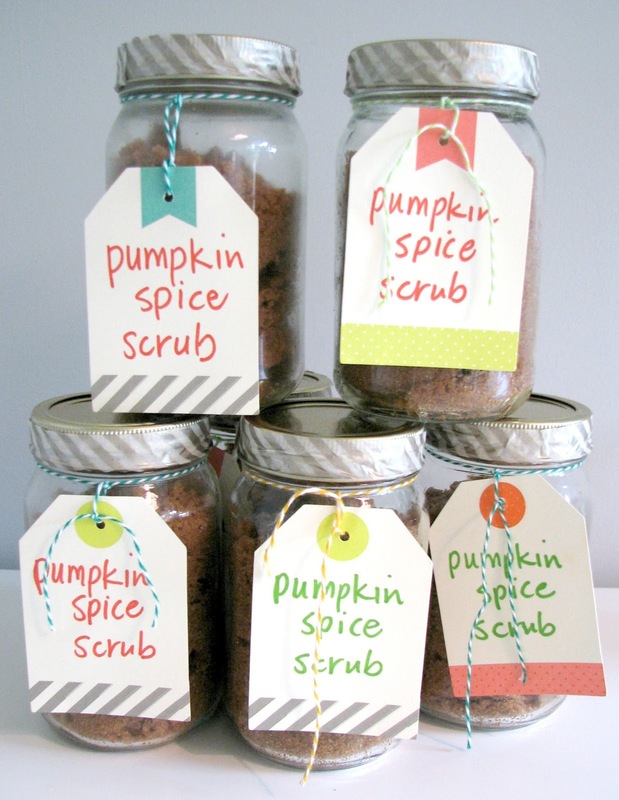 Of course, I went to Pinterest for inspiration and came across a simple recipe and a cute idea for how to package the scrub via Decor and the Dog blog. This scrub uses simple ingredients right from your pantry and it smells delicious! 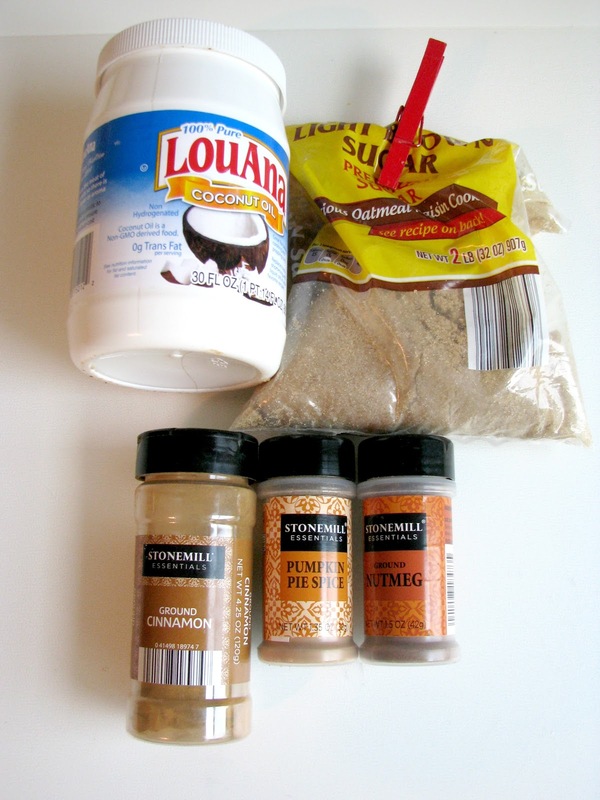 You simply combine the sugars and spices and add your oil at the end and stir. The texture should feel like wet sand when you are finished. I mixed up 8 batches of this fairly quickly and packaged them in little canning jars. Dollar Tree sells the perfect size jar for this recipe. Just like the inspiration post, I added some Washi tape around the edge of the jar and added some baker's twine and tags (all from Target dollar spot) for a finishing touch. I love this! 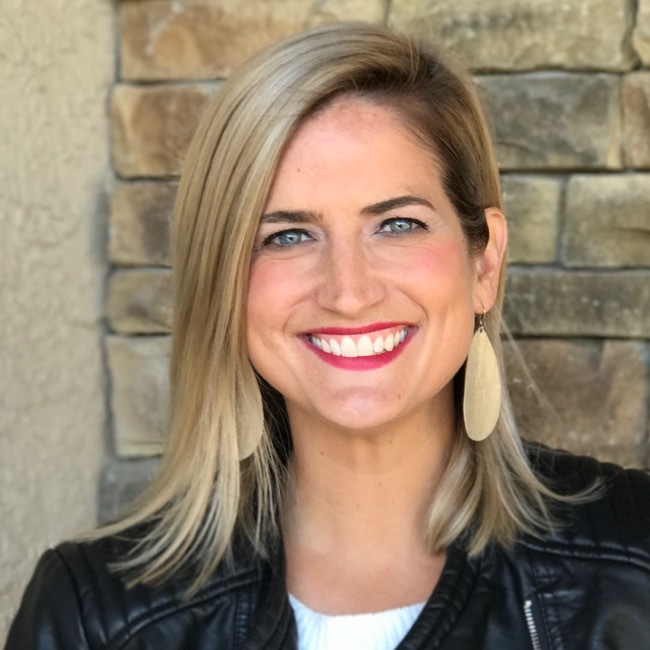 My name is Katie and I host Fall Into the Holidays, now open. All entries get pinned. I would love to have you link up! Hi Katie, I will go check it out now! Oh my gosh! What a great take on the popular pumpkin spice flavor. I'm sure that will smell delicious. Now I have to remember not to try to taste it when I try that myself. Hahaha! Thank you so much for sharing that! Stay beautiful, Andrea! Thanks for stopping by Lilia! Looks like a fantastic gift idea! Seriously! I love anything with cinnamon and pumpkin flavors!! Thanks for stopping by! This sounds fabulous! I love homemade gifts like this that someone will actually want and use. And I can only imagine how fall-like it must smell!